To help visually impaired people make and receive phone calls, designer Andres Parada has completely rethought the way cell phones operate. 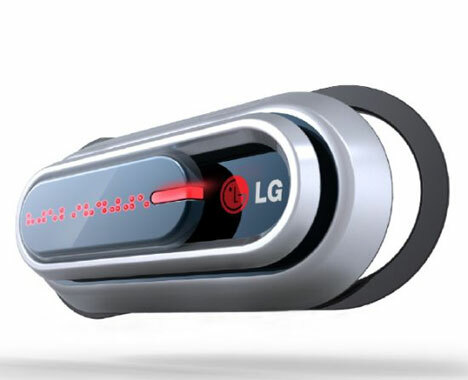 This is his design, which he calls The Loop; it’s a two-piece mobile phone that incorporates several features which make dialing, answering and talking much easier for blind users. It doesn’t have a screen or a keypad like a conventional phone – those elements are replaced with features that make the phone simple to operate sight unseen. 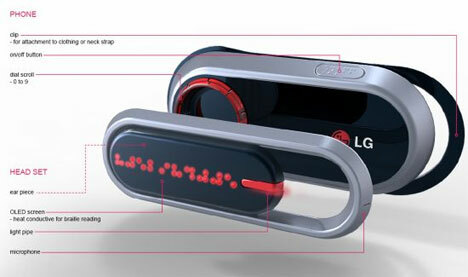 The design was submitted in a contest for LG Electronics. It features a scroll for dialing phone numbers, which is a tactile rather than visual means of inputting information. The user simply turns the scroll wheel to select numbers 0-9 for the phone to dial. This feature would require the user to memorize the numbers they want to dial, so perhaps a future generation of the design could incorporate a speed dial feature. One piece of the phone clips onto the user’s clothing or hangs around the neck on a strap; the other piece slips onto the user’s ear just like any other hands-free headset. 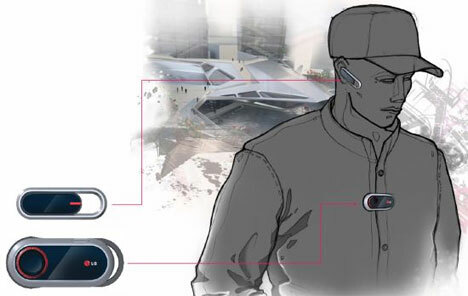 The earpiece can be simply reconnected to the larger piece when the phone isn’t in use or when the user wants to terminate a call. The real beauty of this design is that when in use, it looks just like any other phone. See more in Phones & Mobile or under Gadgets. June, 2010.